Autosvs.com offers dropship to their registered customers at no extra charge. This service allows you to create a specialized online store and stock it with a vast range of products. Your online store might focus on electronics or household goods but you may decide on supplying a number of goods to your customers. Choosing dropship from store.autosvs.com means that you do not have to maintain costly inventories or figure out complex programming codes as that is all done for you. store.autosvs.com takes care of all your day-to-day business processes leaving you plenty of time focus on inventories and sales but most importantly making money from your customers. Dropship with eobdtool.com enables you to be your own boss with your on Internet company in a matter of hours. We provide you with everything you need to run a profitable Internet company. Our customers enjoy software, supplier, credit card processing, hosting, and a full online training center where you can watch videos that teach you about the industry and how things work. We never include eobdtool.com publicity materials or invoices within the packages sent to your customers in order to protect your reputation as a reputable vendor. In order to protect the true source of the goods and the price you as the vendor paid for them, eobdtool.com employs various methods in order to ensure continuous customer loyalty. 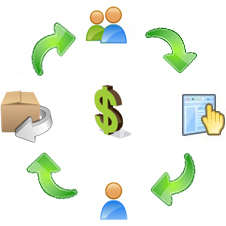 If your customers experience any technical difficulties, or want to return goods purchased, they must first contact you as the eobdtool.com Account holder as well as the vendor of their purchased goods. Please note it's your responsibility as the eobdtool.com buyer/ dropship vendor to be knowledgeable in all taxes and inform your customers in advance. eobdtool.com accepts ZERO responsibility for providing tax information relevant to your country, although of course we will do whatever we can to help you minimize the tax burden if you have special packing/declaration instructions. Dropshipper ships item to your customer without your customer knowing it is dropshipped. You place the same order with the dropshipper and keep the profits. Customer places and pays you for the order.